There are 21 Assisted Living Facilities in the Germantown area, with 5 in Germantown and 16 nearby. The average cost of assisted living in Germantown is $3,980 per month. This is higher than the national median of $3,346. Cheaper nearby regions include Menomonee Falls with an average starting cost of $3,150. To help you with your search, browse the 66 reviews below for assisted living facilities in Germantown. On average, consumers rate assisted living in Germantown 4.1 out of 5 stars. Better rated regions include Mequon with an average rating of 4.3 out of 5 stars. Caring.com has helped thousands of families find high-quality senior care. To speak with one of our Family Advisors about assisted living options and costs in Germantown, call (855) 863-8283. Germantown is a large village in Washington County, Wisconsin, and home to almost 20,000 people according to the last census. The village is proud of its German heritage and has an active historical society that celebrates Oktoberfest each year. There are four assisted living facilities in the village and a further 46 nearby in Milwaukee, Cedarburg and Menomonee Falls. 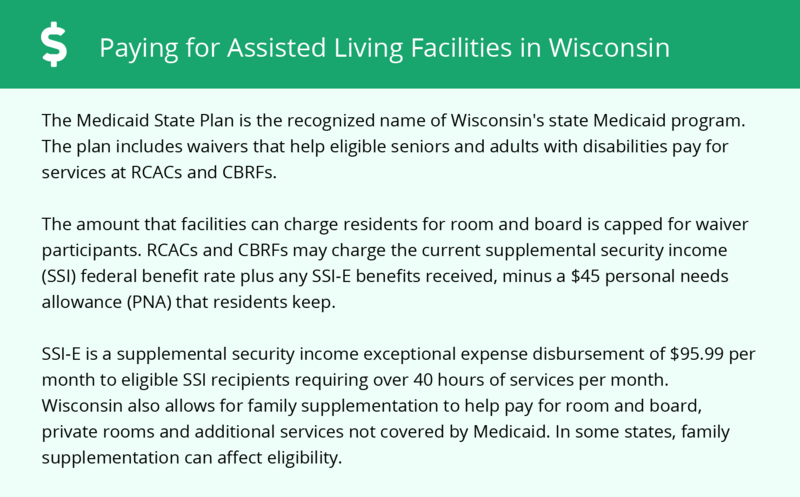 All are registered with Wisconsin's Bureau of Assisted Living, which licenses facilities and programs for individuals that need assistance with daily activities. The Germantown Senior Van Service offers door-to-door, non-emergency transportation to residents over the age of 55. Washington County also has a Shared Ride Taxi Service that offers a similar service for people in Germantown, with a reduced fare for seniors. The crime rate in Germantown is around the national average, though it is lower than other communities of a similar size. Violent crime happens so rarely that the odds of being a victim of violent crime in the village are 1 in 2,003. The property crime rate of 11.68 per 1,000 residents is also low when compared to the Wisconsin average of 19.33. Germantown has a wide array of arts and culture for seniors to enjoy. Some assisted living facilities may arrange group trips to visit one of Germantown's museums or take part in town events like the Germantown Christmas Festival. Seniors who enjoy spending time outdoors may struggle with Germantown's cold winters. The January low is only 12 degrees Fahrenheit, and the village gets 45 inches of snow each year. The mild summers have an average high of 81 degrees, allowing residents to enjoy some of the village's 190 days of sunshine. The cost of living in Germantown is around 13 percent higher than the state average. Seniors will feel this most acutely when paying for health care, which is 14 percent more expensive than the national average. Costs associated with groceries and transportation are closer to state and national averages. The Germantown area has few facilities from which to choose in the event of a medical emergency or illness, with the nearest major hospital located in Menomonee Falls. Assisted Living costs in Germantown start around $3,980 per month on average, while the nationwide average cost of assisted living is $4,000 per month, according to the latest figures from Genworth’s Cost of Care Survey. It’s important to note that assisted living rates in Germantown and the surrounding suburbs can vary widely based on factors such as location, the level of care needed, apartment size and the types of amenities offered at each community. 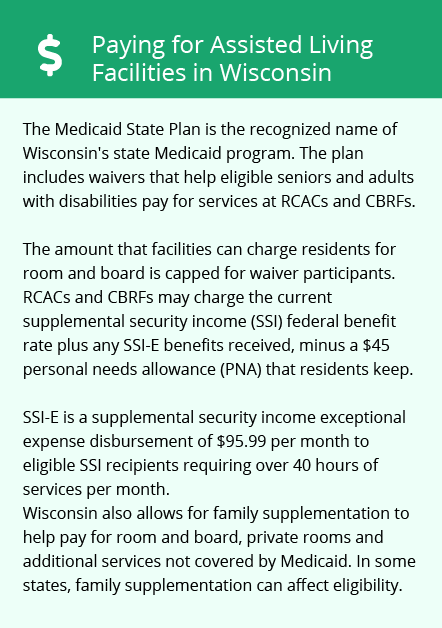 Senior residents in Germantown may be eligible for Wisconsin's Family Care program. Family Care provides assistance to adults who need long-term care. This Medicaid program helps people where they live, including in residential care facilities. To see a list of free assisted living resources in Germantown, please visit our Assisted Living in Wisconsin page. Germantown-area assisted living communities must adhere to the comprehensive set of state laws and regulations that all assisted living communities in Wisconsin are required to follow. Visit our Assisted Living in Wisconsin page for more information about these laws.